K2 Varsity Helmet black green – the inline skate and bike helmet offers protection for your head while inline skating or cycling. 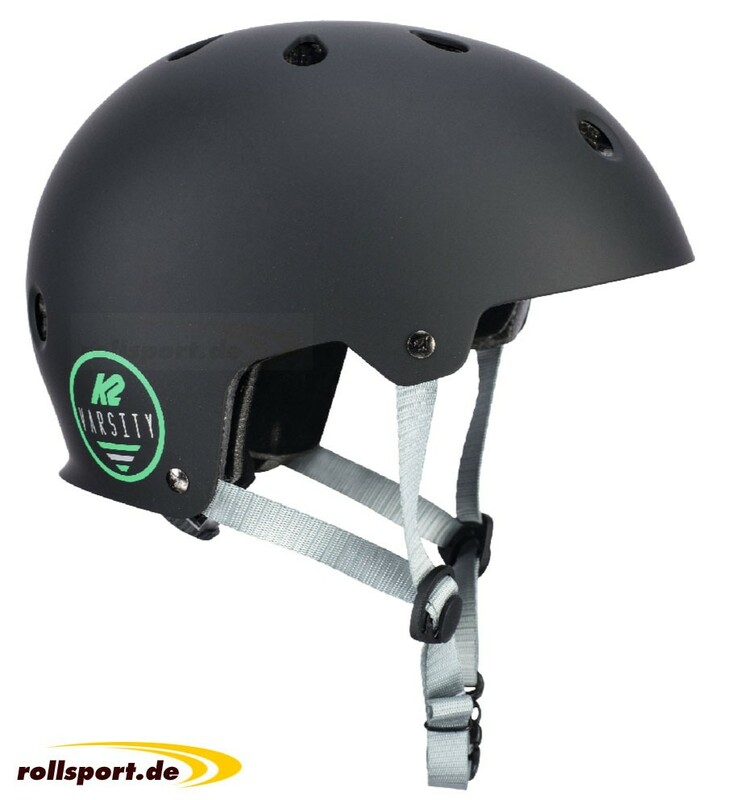 Thanks to the new micro-adjustable fit system, the Varsity helmet offers reliable protection and is also colored in black/green combined with nearly each garment. This helmet has an ideal combination of fit, function and style.